I’ve been dabbling in a bit of jewelry this weekend. Surprise, surprise, right?! I’m getting more adventurous when it comes to jewelry making, but I still feel like a fish out of water for a few different reasons. 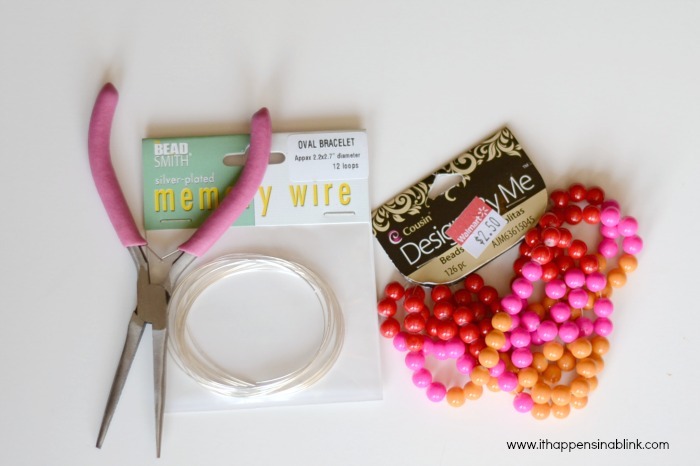 Luckily, I have great blogging friends like Seven Alive, Happy Hour Projects, and One Artsy Mama who make working with memory wire look so easy! What’s so hard about making jewelry?? I’m super afraid of losing a bead! 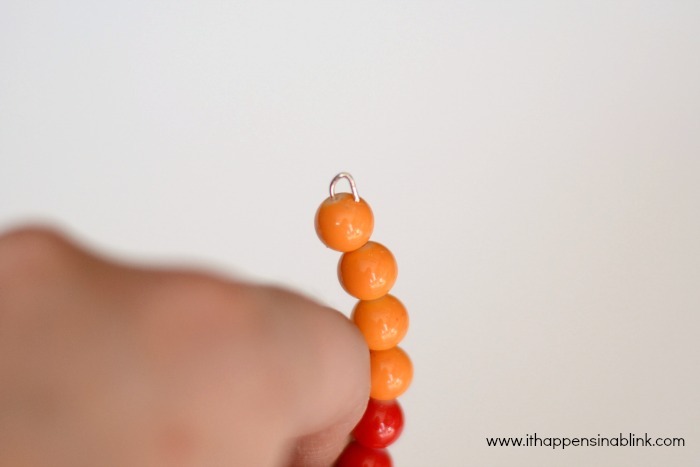 The boys are into everything, and no matter how careful that I am I’m terrified of dropping a bead and one of them picking it up, choking on it, and having to be rushed to the emergency room. That would definitely be the end of my jewelry making career. I actually made this bracelet out in the garage just to be on the safe side. 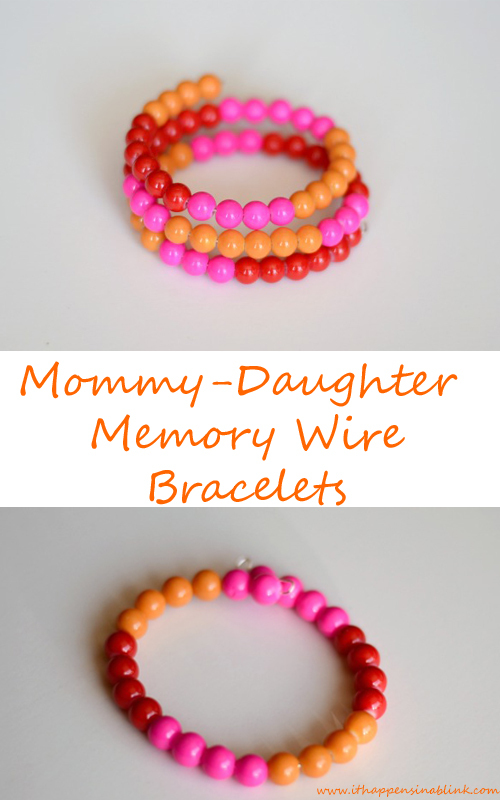 I discovered that memory wire bracelets require minimal supplies- no clasps are needed. I would have like to have one of those nice endcaps for a professional finish, but I decided not to splurge for that this go around. Maybe next time. 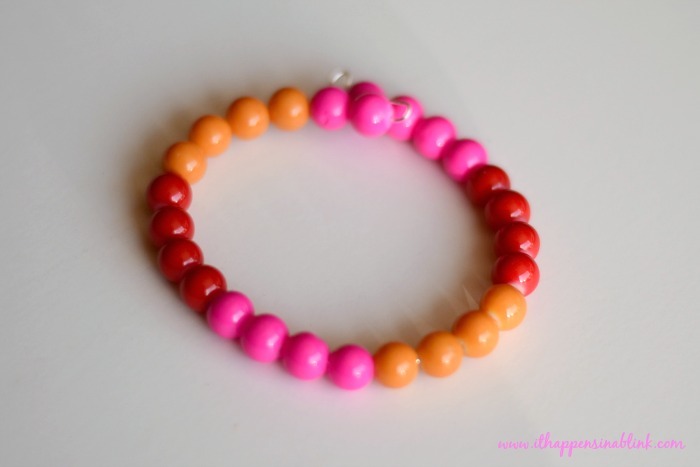 My daughter loved my bracelet and wanted one for her own, so I whipped up two of these in approximately 20 minutes. 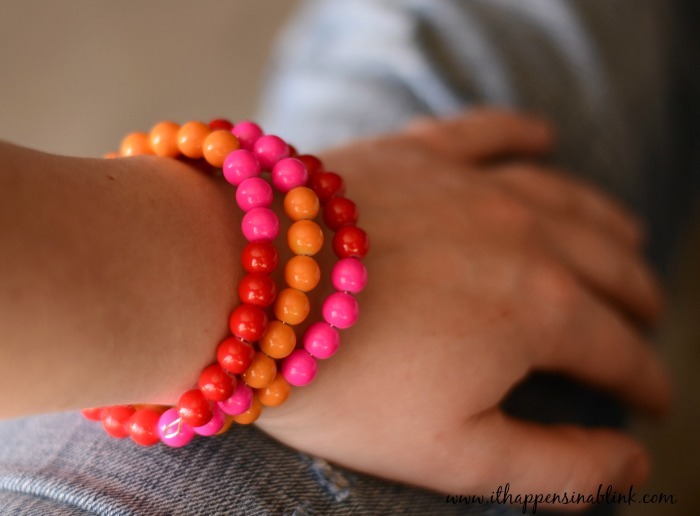 Beads- I found these colorful beads at Walmart on clearance. 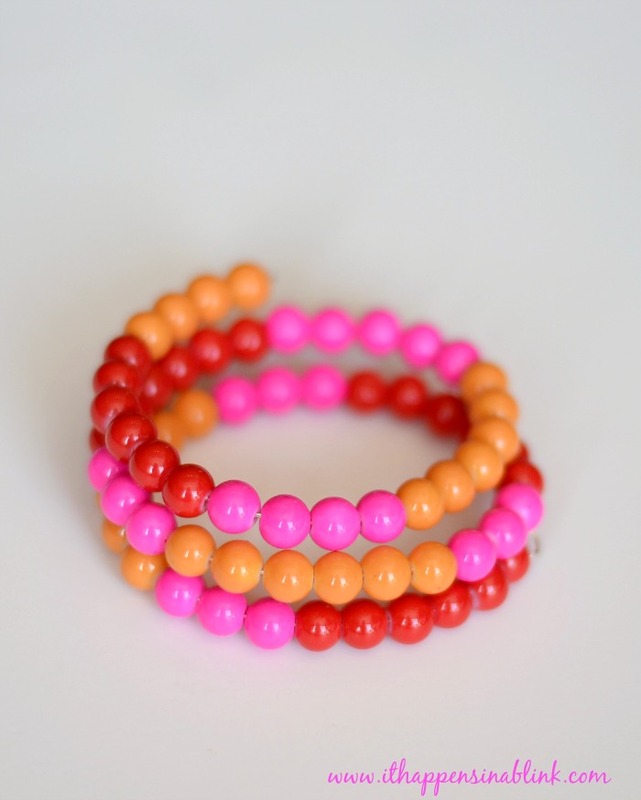 I liked the colors and secretly wished that they came in a bracelet instead of a string of beads. Wire cutters (optional)- If you need to cut the memory wire, you’ll need these. I didn’t need them. 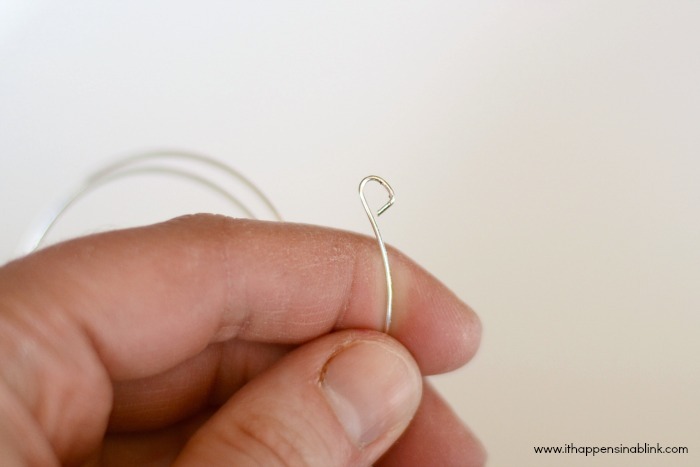 Begin by carefully turning memory wire on one end in opposition direction to form a loop. String beads onto wire until the wire is nearly full. Turn the remaining end in opposite direction to form another loop (like at the beginning). This project was so easy that I made one for my daughter, too. She’s in love with the bead colors. Hers only wraps around the arm once. And you’ll be happy to hear that they garage crafting worked well. No beads were lost or swallowed. Ooh, turquoise would be nice. So colorful! Makes me think of SPRING! I love this! I am going to have to go look for some memory wire now and make a few for myself! Thanks for sharing! This turned out super cute! Stopping by from the Tip Junkie link party! I love the visual of you making them out in the garage!